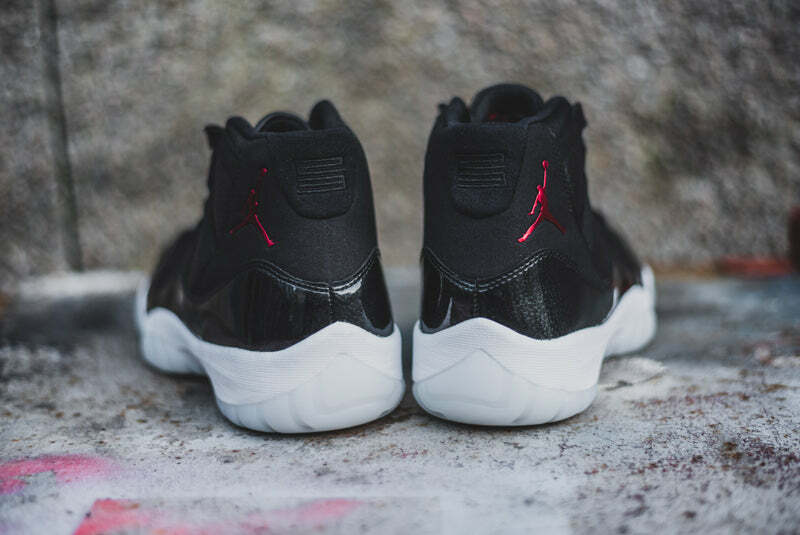 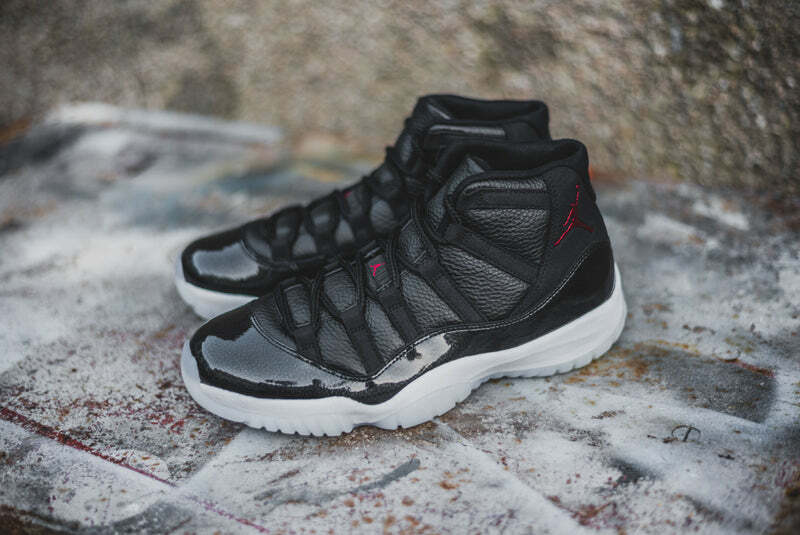 Originally slated for a 19th December release Nike have decided to let us open our Christmas presents early and given us the Air Jordan 11 Retro “72-10” a week early. 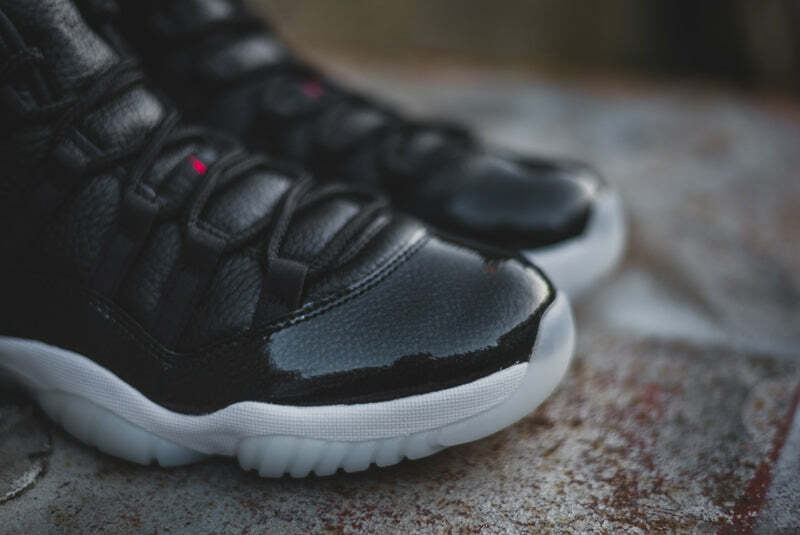 Taking one of the most iconic Air Jordan models and featuring it in patent leather for the first time in an athletic shoe, this newest version of the Air Jordan 11 Retro pays tribute to the historical 1995/1996 season. 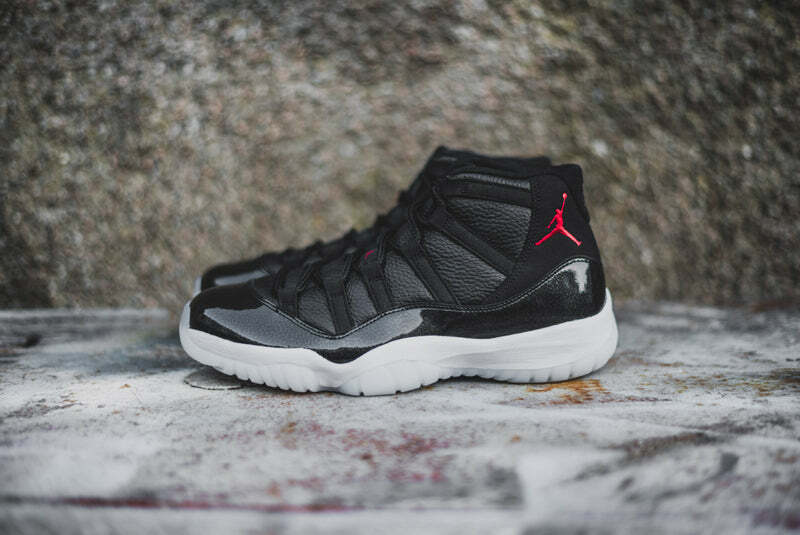 That season culminated in a record breaking 72-10 regular season record, an MVP award and another championship ring. 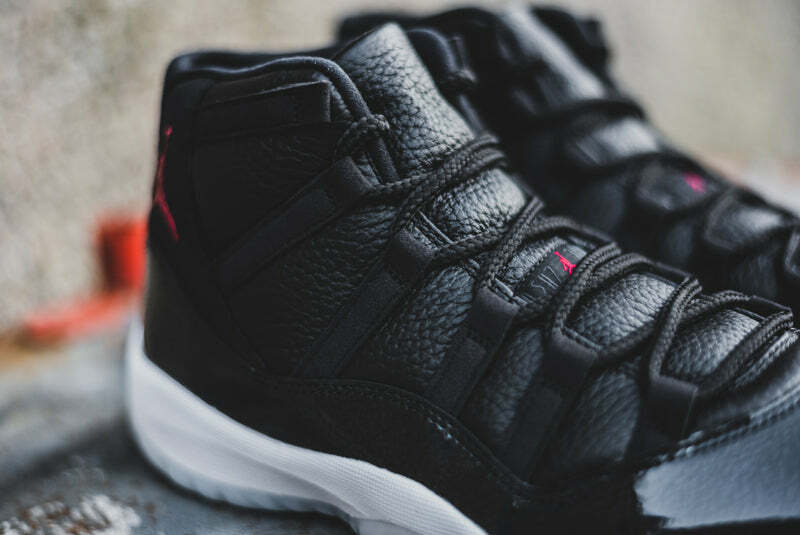 The 72-10 record is commemorated by a tag inside the tongue that reads : “72-10 QUALITY INSPIRED BY THE GREATEST SEASON LED BY THE GREATEST PLAYER EVER.” whereas the premium tumbled leather pairs with Microfiber suede while the tumbled patent leather rand around the shoe features an iridescent sheen. 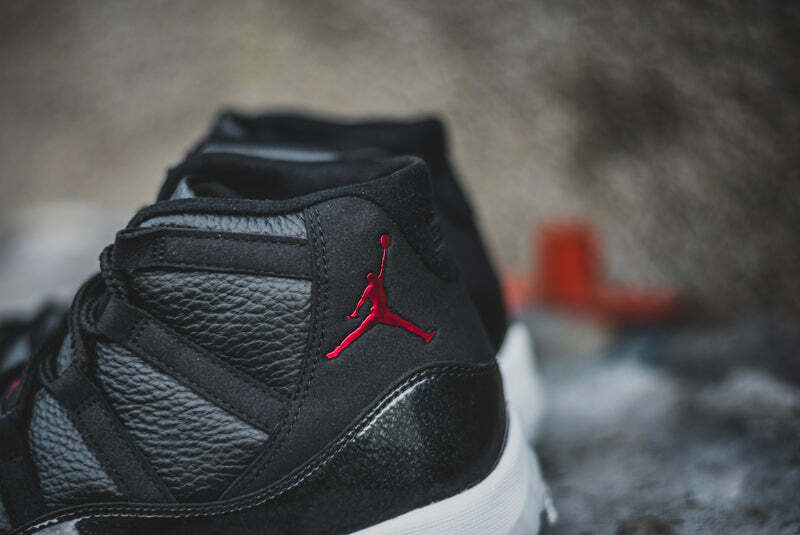 Red and Black adorn the carbon fiber shank plate which is surrounded by a clear outsole. 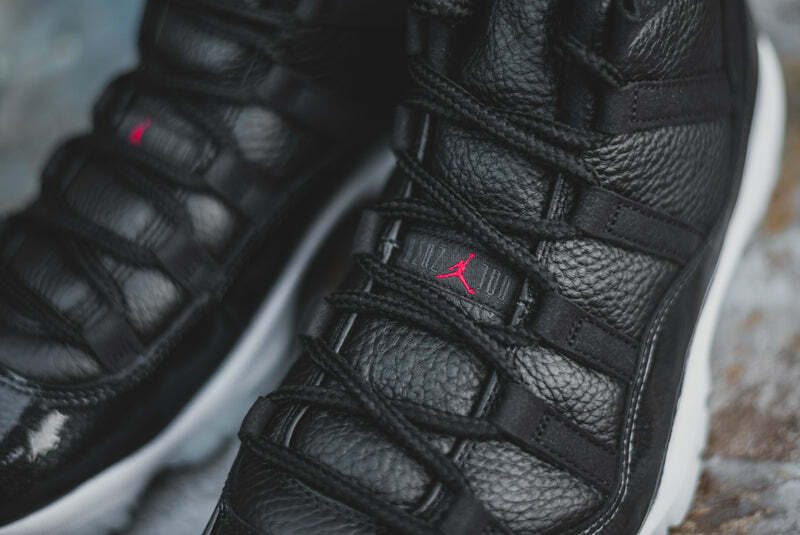 To use a well worn phrase these simply are a must cop for any Jordan fans and will look as good off-court as they would on.